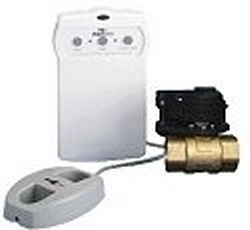 We carry Aquatec, Little Giant and other water pumps. Use them for Booster Pumps, RO Water Pumps, Fountain Pumps, Utility Pumps, Fish Tank Pumps, Misting systems, etc. We also have the Aquagate C100 Leak Detection and Shut off valve here as well the the Stak HC6000 Water Level Control System, aka, Electronic Float Switch. 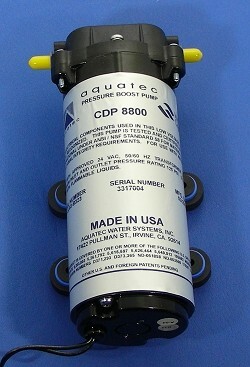 Aquatec 8800 Booster High Pressure, High Volume Pumps. 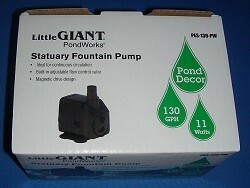 Little Giant Fountain and general use water pumps. High Flow - Low Pressure Water Pumps. Leak detection and shut off system. Accepts mutliple sensors and has a huge 1" valve. Runs on batteries, no electricity needed! Water Level Controller. 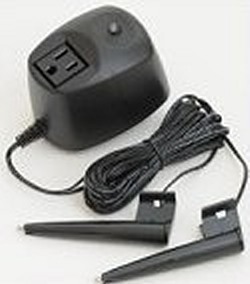 Used for sump pumps, aquarium sumps, etc. Anytime you need to carefully contoll the depth of water in a vessel. NOTE: If you don't find what you need on one of the above links, please contact us. Thank you.